The Arc Table is inspired by the classic Roman arch and is also influenced by shapes that Angelo Donghia used in the 1970’s. This table, created by White Webb to commemorate its partnership with Donghia, is a true blend of ancient forms and sleek modernity. 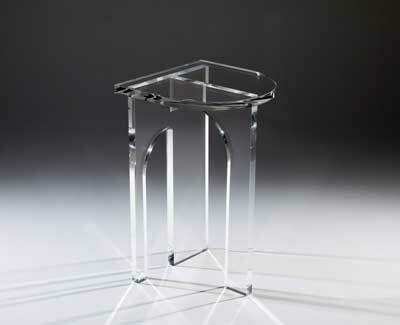 The Arc Table comes in two sizes – small and large.